We assist people to live life to the fullest, whatever their individual needs and interests. Ageing can be fun; when we have aged we just have to remember that every day so we can live it! 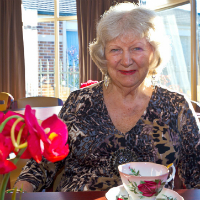 Our Lifestyle program is varied and ever-changing, so our residents always have opportunities to participate in activities that interest them and be part of life in the home. We also focus on participation in every-day life within the home. Residents are invited to help with daily tasks and activities around the home so they can make a meaningful contribution to their household. Our team undertake individual assessments with each resident to understand their personal history, preferences and what they enjoy. We then provide a wide-ranging program of activities, in individual and group settings, so each resident can enjoy an active and social life in their new home. 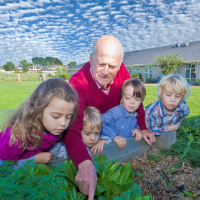 We encourage families and friends to visit their loved ones and be part of life at our aged care homes. We don’t have visiting hours; this is our resident’s home and they can welcome loved ones in whenever they like. All we ask is residents and their visitors are respectful of the other residents who also live here, whatever the time of day. The companionship of animals brings much happiness and comfort. We have a number of resident pets, including our gorgeous dog Beau and our beautiful cats George and Millie. If you have a dearly loved pet, please ask us about how we can continue to keep them in your life after your move in.